The idea of the ketone diet is to get your body into a process called Ketosis where you stop burning carbohydrates as fuel… Learn more about how it works, variations, etc. 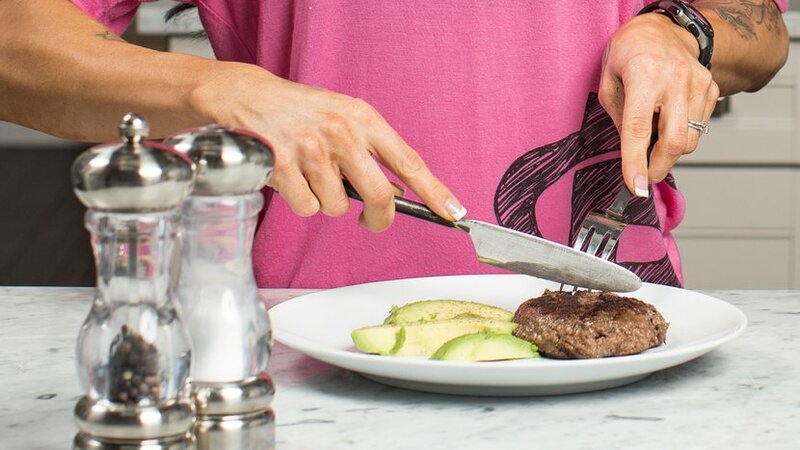 Along with the Atkins diet and the South Beach diet, individuals who are interested in low carbohydrate approaches to dieting will likely want to look into the Keto Diet. Popular among many who are trying to maintain blood sugar levels and lose body fat, the main premise of this diet is, ‘eat fat to lose fat’. The idea of the ketone diet is to get your body into a process called Ketosis where you stop burning carbohydrates as fuel and instead turn to the burning of what are known as ketones. This will occur when you bring your carbohydrate levels to around 50 grams per day or lower. Many keto activists advise that number to be 30 grams of carbohydrates but most individuals can still maintain ketosis while consuming the 50 grams and this allows for a little more leeway in the diet since you can increase the consumption of vegetables and a variety of flavoring’s that contain a few grams of carbohydrates. Usually people who are involved with exercise will follow either a TKD (targeted keto diet) or a CKD (cyclical keto diet). A TKD is one where you will eat carbohydrates right before and right after your workouts. This is the best bet for those who are involved in more intense activities and require some carbohydrates to fuel them and who are not as interested in doing carb loads and depletion workouts. A CKD on the other hand is a diet where you will eat a minimum amount of carbohydrates per day (that 30-50 gram number) and then on the weekend (or at a time that is appropriate for you) do a large ‘carb-up’ phase where you will eat a large amount of carbohydrates in an effort to refill your muscle glycogen stores so you can continue to workout the coming week. Normally right before the carb-up phase you will do a depletion workout where you try and get your muscles to completely eliminate their glycogen supply. Then when you do the ‘carb-up’ phase, you cut almost all the fat out of the diet so you are now just consuming protein and carbohydrates. To set the diet up, first you take your lean body weight and multiply it by one. This will be the total number of grams of protein you are required to eat per day. After you get this number, multiple it by 4 (how many calories are in one gram of protein) to get your total calories coming from protein. Now the rest of your daily requirement will come from fat calories. You don’t really need to calculate carbohydrate grams specifically because by default you will likely reach your 30-50 grams per day simply by including green vegetables and the incidental carbs that come from your fat and protein sources. To figure out how many fat grams specifically you want, you would take the total number of calories it takes to maintain your body weight (normally around 14-16 calories per pound of body weight). Subtract your protein calories from that number and then divide by 9 (number of calories per gram of fat). This should give you how many total fat grams you need to eat per day. Divide these numbers by however many meals you wish to eat per day to get the basic layout for your diet. Be sure to consume plenty of green leafy vegetables for antioxidant and vitamin protection and you are good to go. Now this brings us to the weekend carb load period and usually the ‘fun’ part for most individuals. You are now able to eat large quantities of carbohydrate containing foods, cereal, bagels, rice chips, candy, pasta and so on are all good options here. Since you won’t be eating very much fat at all, there is less likely of a chance that these carbohydrates will get turned into body fat as they will be going towards filling up your muscle glycogen stores once again. Most people will choose to begin their carb-up on Friday night and end it before bed on Saturday. This is usually most convenient as it’s when you are off of work and can relax and enjoy the process. If you aren’t overly concerned with fat loss and are just using this diet as a way to maintain blood sugar levels, you can likely eat whatever carbohydrate foods you like during this period. If you are worried about fat gain though, then you need the math. Try and aim to keep your protein the same at one gram per pound of body weight and then take in 10-12 grams of carbohydrates for every kilogram of body weight. Start taking these carbohydrates (usually the first bit in liquid form) right after your last workout on Friday night. This is when your body is primed and ready to uptake the carbohydrates and it will be most beneficial for you. Note that you can have some fat here, since it will be hard to consume many of the foods you really want to eat without being allowed any (pizza for instance) but do your best to keep your fat grams around your body weight in kilograms (so if you weigh 80 kg’s, eat no more than 80 grams of fat). On a second note, some individuals find they like to eat a little fruit along with protein before their final workout on Friday night as this will help restore their liver glycogen levels and give them the energy they need to push through that workout. Plus, by refilling the liver glycogen you will help put your body into a slightly more anabolic state so you don’t see as much energy breakdown. Overall this seems to be a very good diet for most people as far as fat loss is concerned. Some do deal with negative side effects while in ketosis but most people will find that although it’s really hard the first two weeks, after that period their body begins to adapt and it gets much easier. Furthermore, one of the biggest benefits of being in ketosis is appetite blunting therefore it can actually be an ideal program for someone on a diet. The only draw back you will see is for those who do have high activities or are involved in lots of sprinting type exercise. Although a few will find they feel fine, even have more energy on a high fat/moderate protein diet, most of the time carbohydrates are the best source of fuel for these activities. That isn’t that big of a problem though, it just means that that person should instead look into doing a TKD instead of a CKD. In part two of this article, we’ll go over how you should set up a TKD for those who want to keep their carbohydrate intake slightly higher on a daily basis so as to allow for more intense training levels. To sum up, for fat loss, this diet would rate 4 out of 5. For muscle gain though, it is slightly harder to put on muscle since usually a large amount of insulin is needed to put the body in an anabolic state, so it would be more along the lines of 2 out of 5 (TKD though could bump that higher).